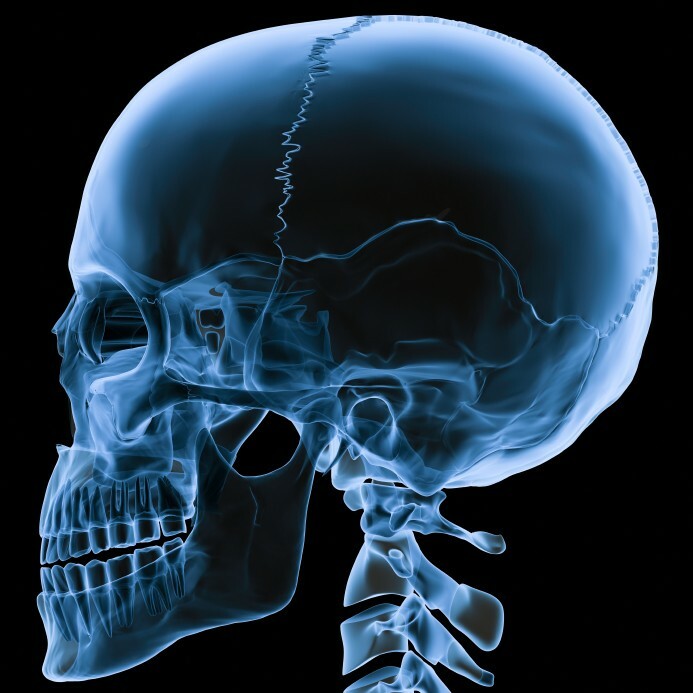 My word for today is X-ray, as in a beam that can see through the skin to the bones underneath. We, as writers are in effect x-ray machines. We must write the bones of a story before we can lay upon them the layers that will eventually produce something readable. Think of the outline perhaps, as the bones of your story. During this process we must be able to “see” through the skin of our wip to examine the bones and how they affect our story. Like in the show “Bones” http://www.fox.com/bones/ Angela Montenegro, the forensic artist, is often required to make a precise rendition of a skull’s face. With her super artistic talent and way with technology, Angela turns a skull (or sometimes even partial skull) into a likeness of the person the skull once looked like. Angela must delve deep and follow the lines the skull gives her to make what will ultimately be the skull’s face, and of course, in this show her likenesses always portray the person precisely as they were. We must do the same. We must be able to see through the skin and muscle of our wip and see the bones beneath to be able to follow the lines, delve deep, and make the reader forget all about the bones. We want them to see only the skin of our creation, but we want them to feel the depth of the bones so that when they are finished with our labor of love, sweat and heartache, they put it down and look at it and feel sorry that it’s over. If you have a strong and deep underlying structure under the overlay of words that make up your story, you stand a better chance of writing something worth reading. 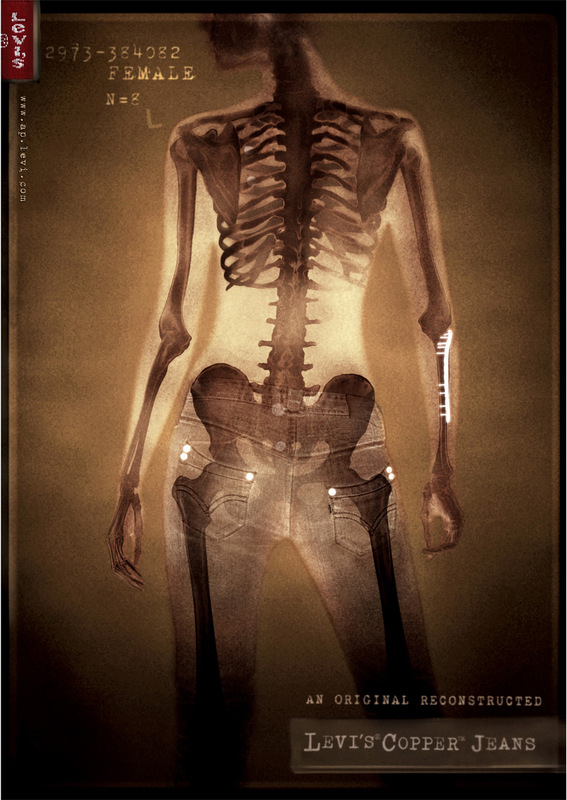 How do you view the “bones” of your story? Do you feel they are strong enough to give your story worthwhile substance? 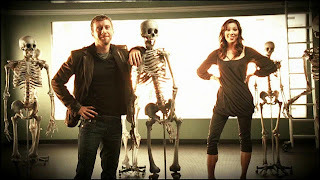 Jack and Angela on "Bones"
I know I should say something like "an outline is the bones of a story"...but I'm not a big outliner. Thanks Mark, X was an interesting one this time... Liked yours! Mme. Xanadu!!! You are a great researcher. Hi Lisa .. we had a show, which I loved, and they unearthed bones in Stirling Castle and actually traced one back to his death on 10 October 1341 - our records are pretty good here! Should you wish to look sometime .. I love those sorts of programmes - and we've had too few of them .. but I guess lots involved .. mind you Richard III was quite exciting - I hope to see the Museum etc on his burial site in the car park ... sometime this summer. I'd love to have Xray eyes!